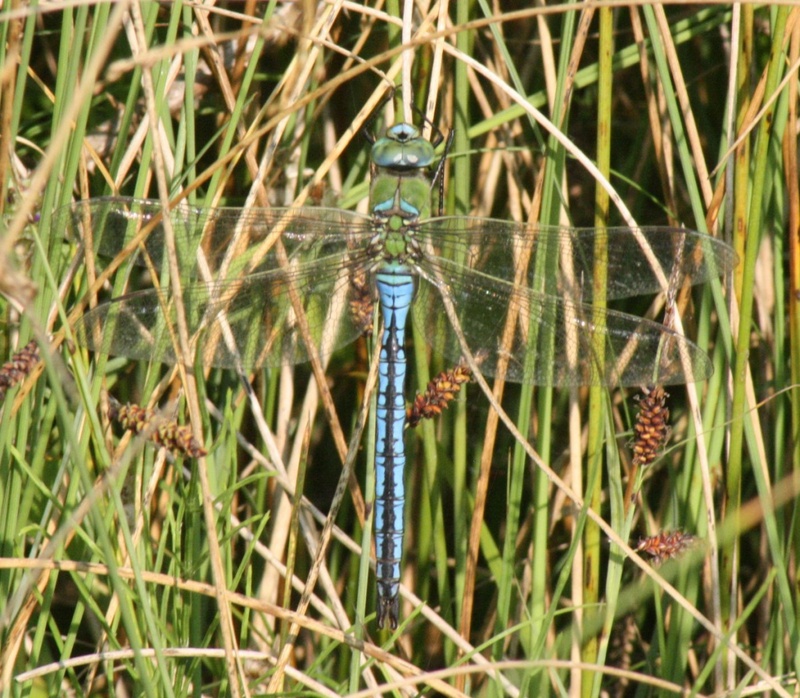 This is one of Europe's largest dragonflies. 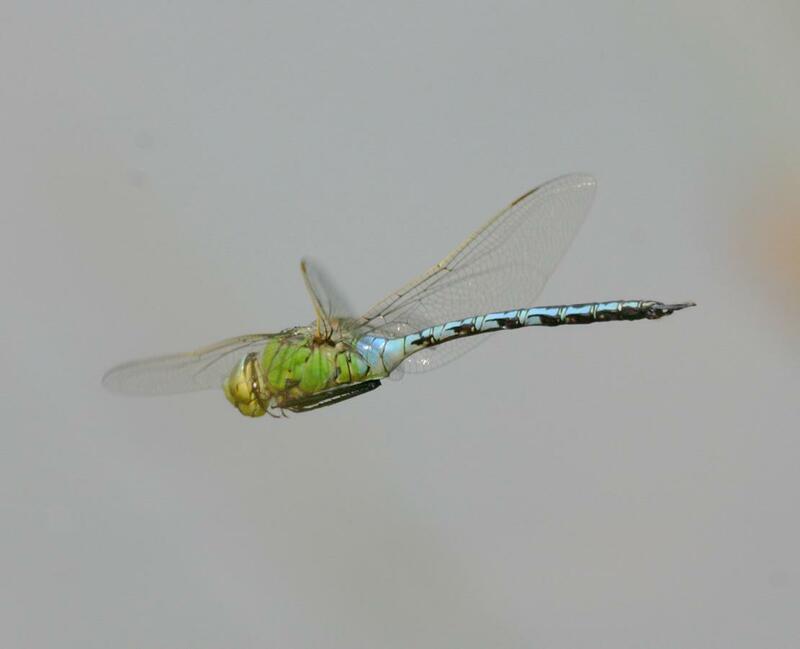 The male is easy to identify with its apple green thorax and bright blue abdomen and blue eyes. 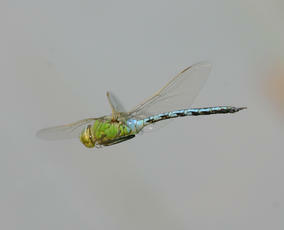 The female is mostly green and also has the apple green thorax. 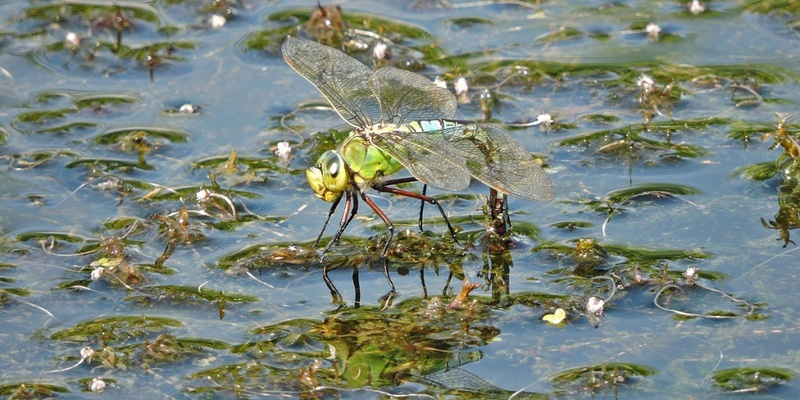 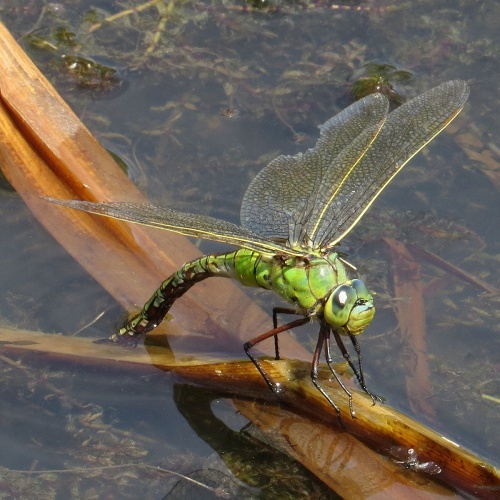 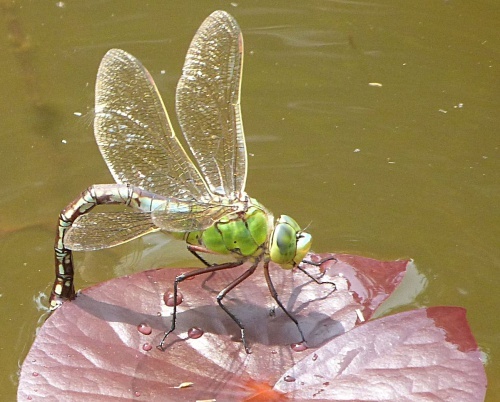 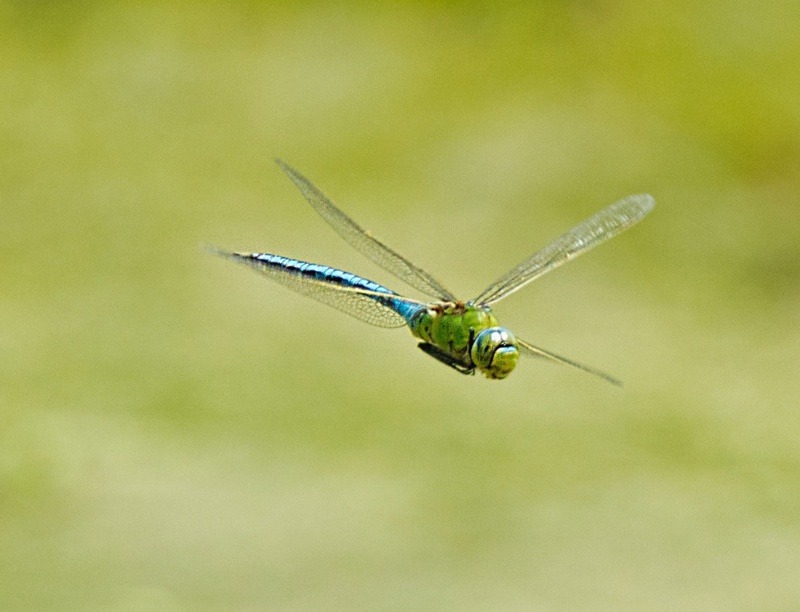 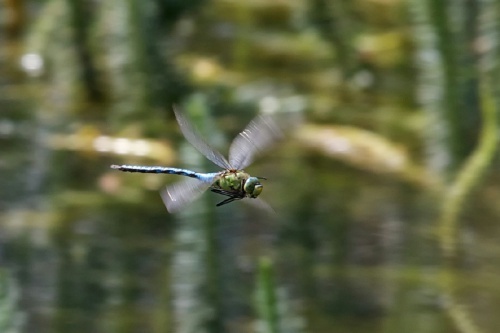 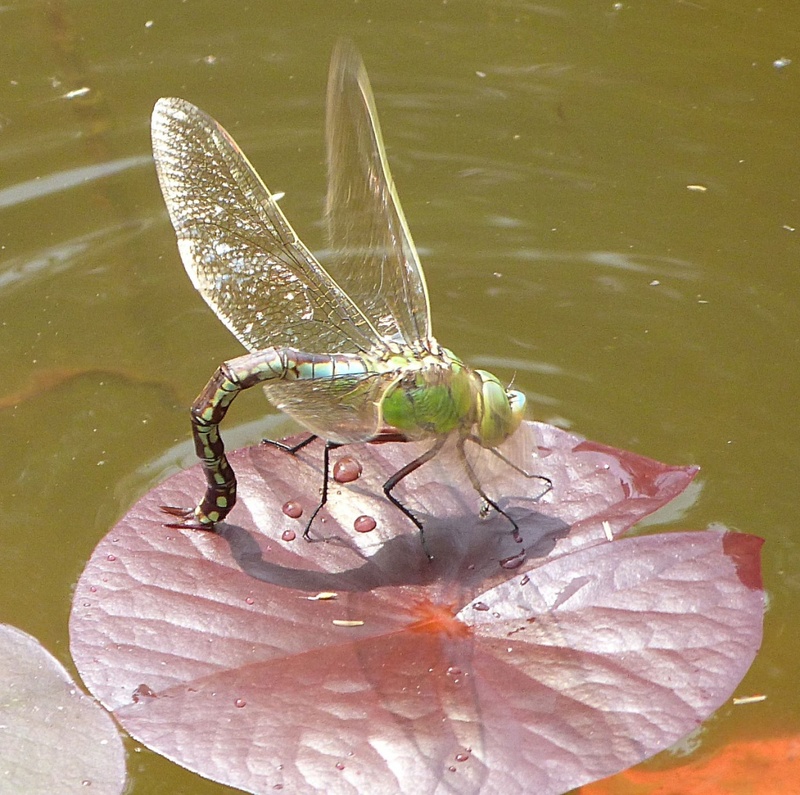 Large ponds, lakes, canals and slow moving rivers are the preferred habitat of the Emperor Dragonfly, particular those with abundant submerged and floating vegetation. 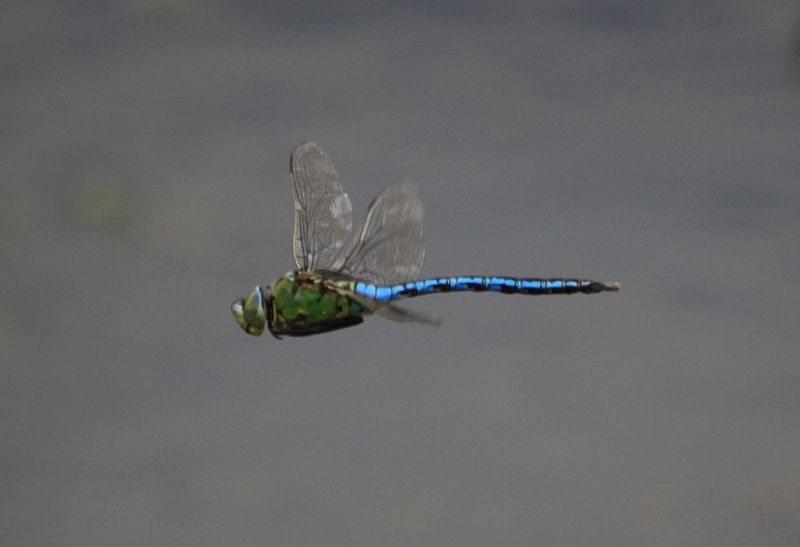 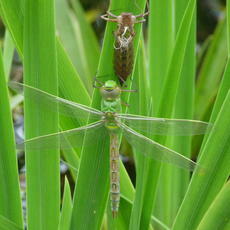 The male circumnavigates its territory and chases off any other dragonfly that comes near. 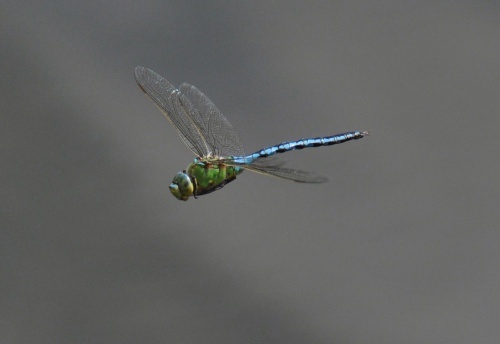 Each pair of wings moves in a different motion, giving the impression of a helicopter. Widespread but not common in England south of the Humber and Wales, little recorded elsewhere in Britain. There has been a huge upsurge in records of this distinctive dragonfly in our area since 1990 and it is now distributed widely throughout Leicestershire & Rutland. 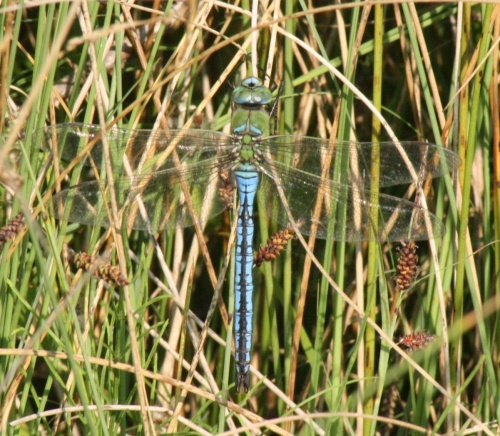 With just a handful of records prior to 1980 and similarly few in the succeeding decade, this is another species that can be considered a recent colonist to VC 55. 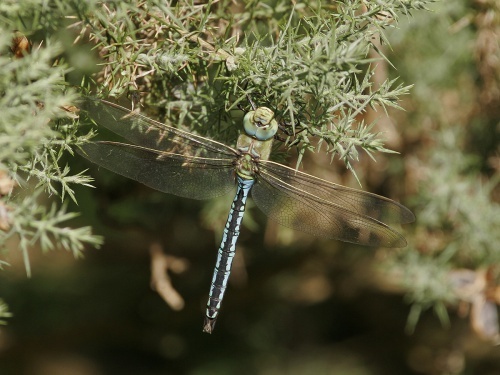 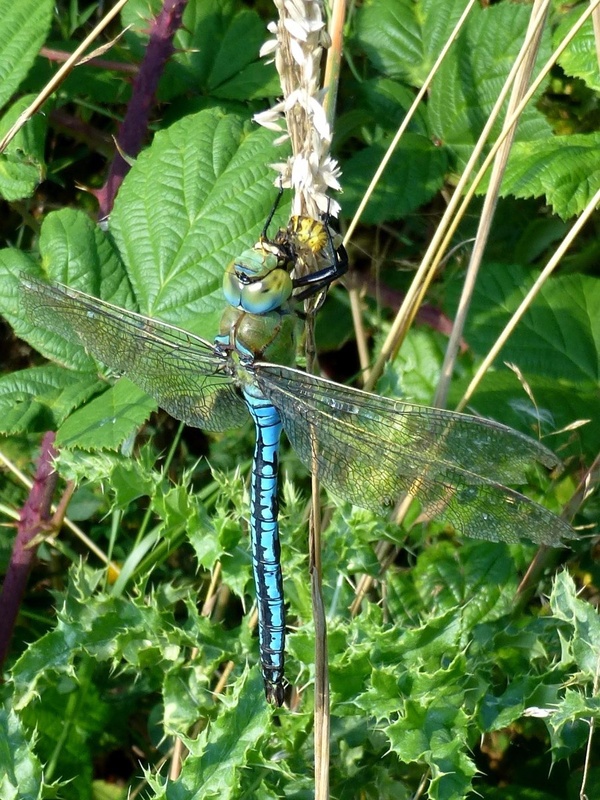 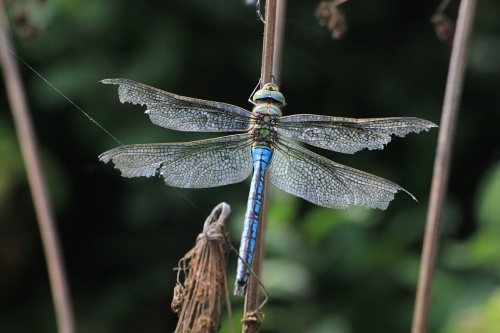 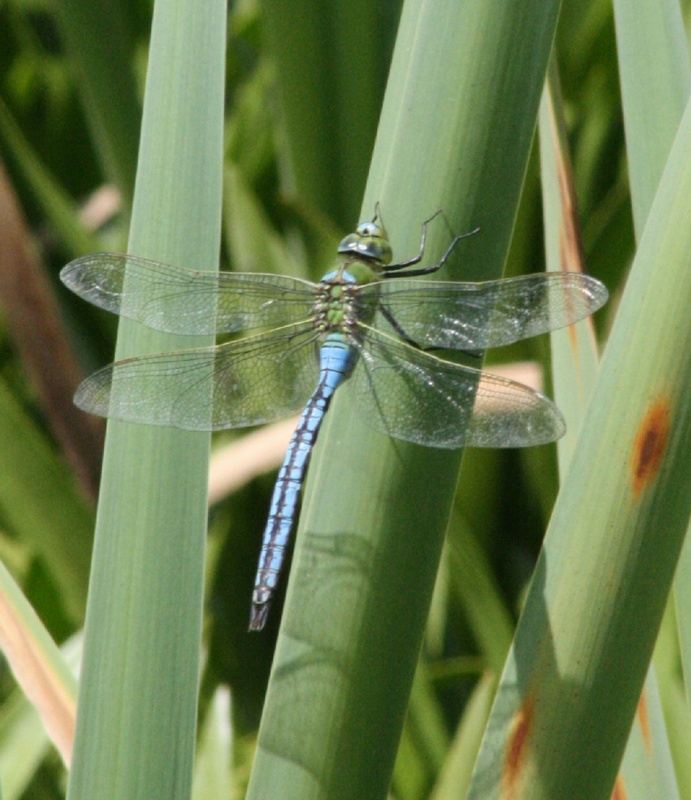 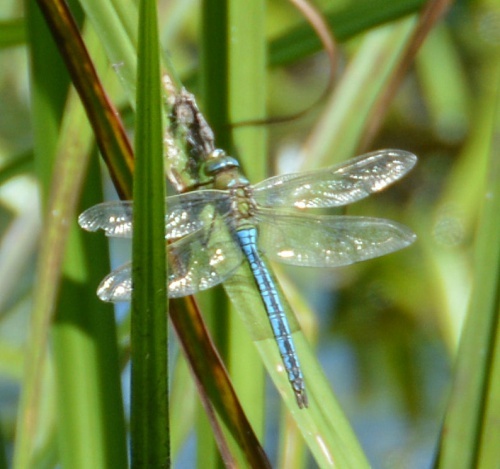 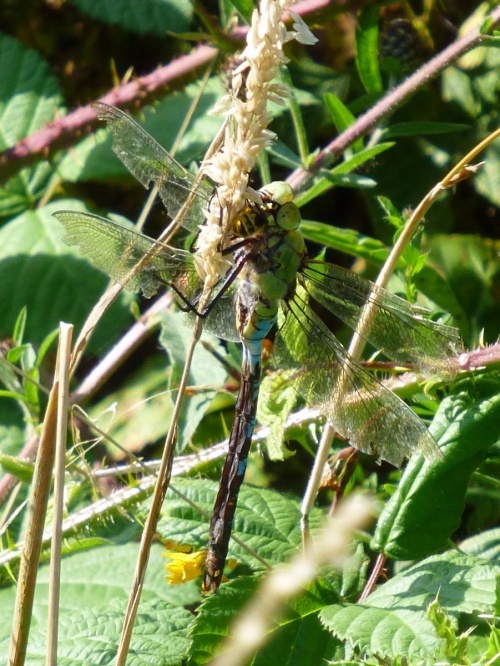 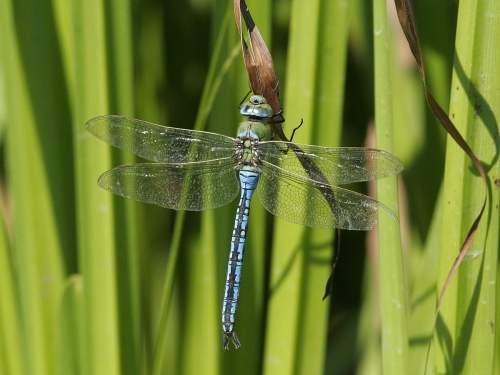 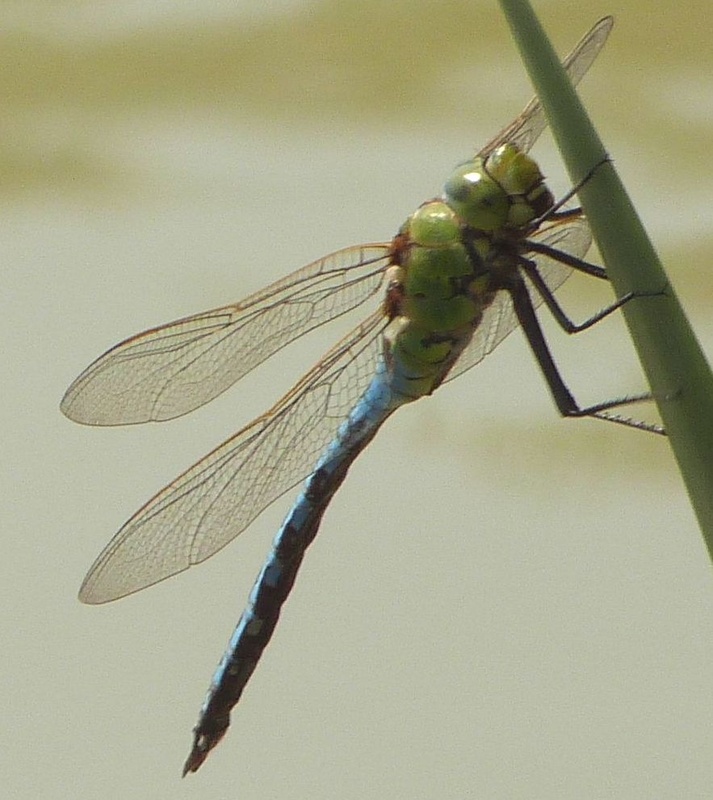 There has been a huge upsurge in records of this distinctive dragonfly since 1990 and it is now distributed widely through VC 55 in suitable habitat.